“Tell me about it?” Florence dreamed of someday watching Ari on one of her little missions. She had no interest in actually fighting herself. But just once, she wanted to see one of her explosions in person, not just as calculations on paper. “If you want explosive canisters that large, it will.” Florence picked at the white vest and silver necktie Ari had placed on the bed. “I know, I know.” Ari was right, as usual. It had been two years since Florence had met Ari during her escape from the Ravens Guild and somehow convinced the woman to agree to be her teacher. 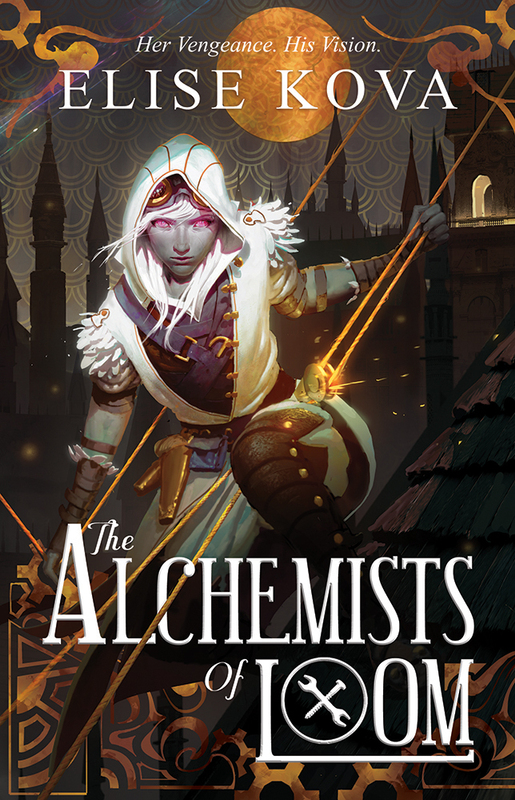 In that time, Florence had been given ample opportunities to experiment with different ways to combine gunpowder, chemicals, refined metals, and even alchemical runes to create some of the best explosives Ari had ever seen. At least, that’s what Ari told her. But the woman wouldn’t lie, not even to spare her initiate’s feelings. Their life was unconventional and mostly outside the law, but it was a life Florence had come to love. Ari was an acolyte of the old ways, unmarked on her cheeks and firm in her belief that every guild was connected. That overlap between fields of study was essential. She let Florence explore, create, question for the sake of it. It had all made the terror of escaping the guild worthwhile. “We’re going to ride an airship?” Florence bounced to sit at the edge of the bed. “I’ll pick up materials in Mercury Town. But you better not blow up the first airship I ride on,” Florence mock-scolded. “He doesn’t seem bad.” Florence tried to smooth over the kinks she foresaw in their journey. After all the stories she’d heard of Dragons, she expected a horrible monster. While she wouldn’t call the Dragon handsome by any stretch—his colors were borderline headache-inducing—she wouldn’t call him evil incarnate, either. Ari stilled. She crossed back to the bed and, with both hands, cradled Florence’s face delicately. Florence swallowed. She knew Arianna had real memories of the time before the Dragons, when the Five Guilds were free and the world was run by the Vicar tribunal; when Fenthri didn’t have to be marked—when they were free to study and learn as they wanted. There was a terrifying lust for that time in Ari’s heart.